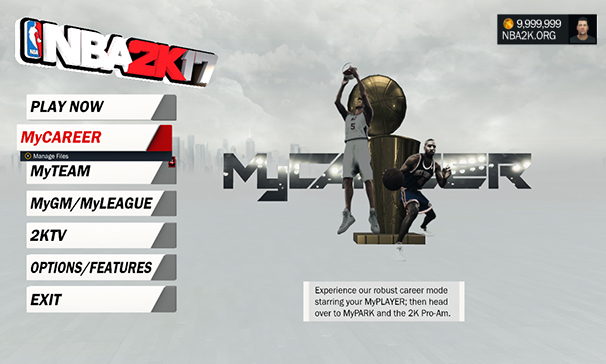 With the recent release of 'NBA 2K17', Veryan has updated his Cheat Engine table for the game. This allows you to modify certain values like game sliders, mycareer stats, and various settings. If you have already downloaded his table from NBA 2K16, chances are you already know how to use it. For newbies, I recommend that you head back to the old page and read the instructions as most things have been already explained over there. Added Justice Young & Denver Levins edits. Added On Court Coach badge. Improved MyPlayer pointer yet again. Removed End of match VC earnings multiplier as it didn't work right. Added hidden badges to badge selection sections. Added Attribute Override (same function as the Attribute Manipulator in my NBA 2K16 table). Please be aware that I made and tested it for single player use ONLY. Updated CE table with a couple new features. Made an initial table. Doesn't have a whole lot of settings as of yet, as i have been constructing it a little differently this year to hopefully make things a bit easier going forward. Note: Addresses will automatically update while on the menu ONLY. If you disable the table script you will have to return to the main menu after re-enabling it for addresses to be updated again. There is always a risk when using cheats specially if you're tying to hack the in-game currency for online modes. Don't try to cash in crazy amount of VC. You have no one to blame but yourself if you use this table and receive a ban. The latest version of cheat engine table listed above is compatible with NBA 2K17 on Steam build number 1340850. This page will be updated as soon as new patch is released. If you have any questions or suggestions, feel free to leave them in the discussion thread below.